EVERY OF THE STUFF: HOME // DECOR: paper pastries! HOME // DECOR: paper pastries! so a couple of weeks back, we did a trade with paper pastries, and we’re so glad we did! you can see the custom necklaces that she got here, and i wanted to post a little appreciation photo of our loot on our site! look at how adorable those camera stamps are! 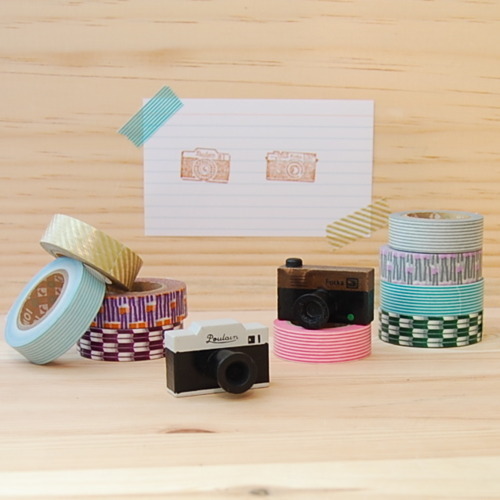 and we finally got a chance to get some japanese washi tape—i’ve been drooling over these decorative tapes for months! anyway, go check out her shop! it’s adorable and she has all manner of things that will make you happy!